You might not think the terms “Paleo” and “vegetarian” work together, but this recipe shows how the use of the vegetarian-friendly egg makes this partnership possible. This recipe is a simple, low-cost, low-prep dish that can be served on its own for a filling lunch, paired with other proteins for dinner, or even eaten for breakfast. The combination of eggs and avocado give this dish a great base, one that the experienced chef can play with a bit to suit other occasions. 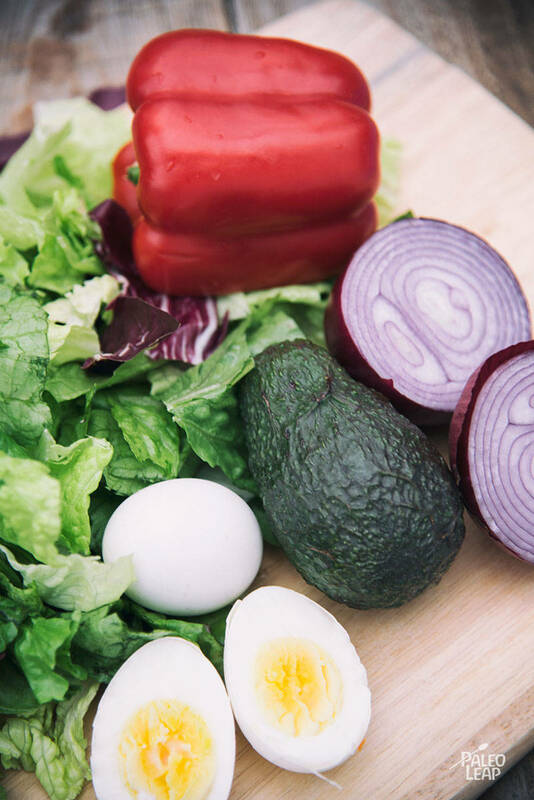 Overall, this salad is versatile enough to be used in a host of situations, all while meeting your nutritional goals. This recipe calls for homemade mayonnaise in the base – it’s important to prep this ahead of time so that you don’t find yourself substituting a non-Paleo, store-bought version. Try not to be too concerned with the fat content in this recipe – a quick look at the nutritional content of the ingredients shows high concentrations of the good types of fats that your body needs to run efficiently. 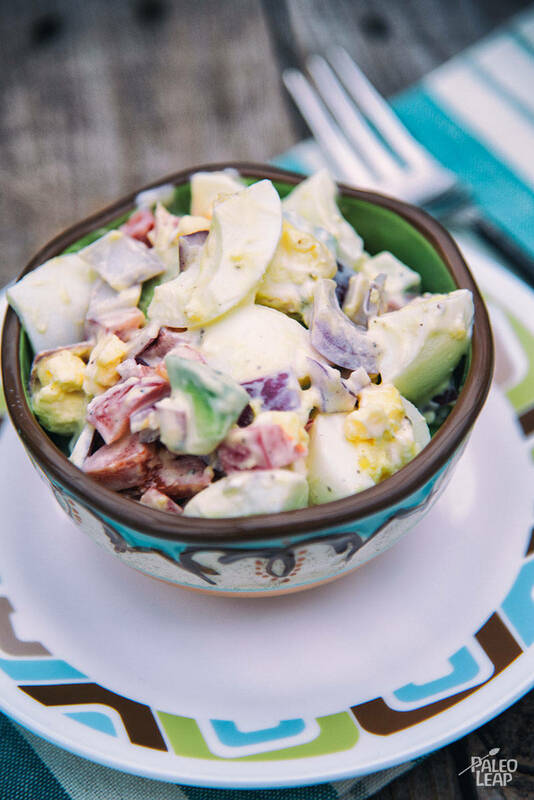 The flavor combination presented here is most similar to the traditional egg salad you’d see at a company pot-luck or picnic – consider sizing up the portions of this recipe to serve at larger events. The lemon juice in this recipe will prevent “avocado-syndrome” (the premature browning of a dish containing this ingredient), but it’s best to ensure this dish is tightly covered and refrigerated for as long as possible before serving. If you’ll be enjoying this recipe at home, make it a complete meal by pairing with a simple grilled protein, such as the grilled chicken with lime butter, for a satiating plate. Place eggs in a saucepan and add cold water to cover eggs by 1 inch. Heat the water over high heat and bring to a boil. Lower heat to low and simmer about 10 minutes. Drain water and cool the eggs in ice cold water. Combine all ingredients in a bowl and toss until well-combined. Season with salt and pepper to taste.